Any opportunity to surf those amazing waves is just sensational. Getting stung by bluebottles on many an occasion can be off-putting. The latter can happen at any Sydney beach, and depending on the tides - it can be a challenge to get out of the water as quickly as you came in. You love surfing, otherwise you wouldn't have stumbled across this question. Which beach do you enjoy surfing at the most? Why? At this particular beach of preference, is it easy to hire/rent a surfboard? Do you usually bring your own? Anywhere on the northern beaches. Manly Beach, Curl Curl Beach, Freshwater Beach are all great surfing beaches. If you venture further up north, then Newport and Palm Beach are also ideal. 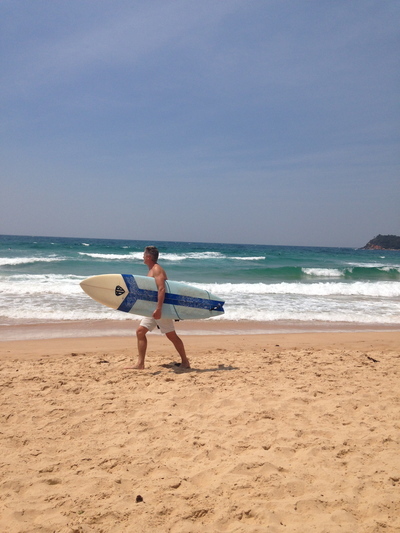 When at home here in Sydney, and I am in the mood to go surfing - I choose Manly Beach as my first preference. Love the waves and there are hardly any bluebottles here on a hot day. It is easy to hire a surfboard here, without having to cart it around town. If you live in the south go to Eloura Beach. It's great. It's just next to the North and South Cronulla beaches but not many people know about it. It's kind of a hidden secret for the community. There's plenty of space and good waves. North Curl Curl beach on the Northern Beaches is great! There is normally a good wave pumping in the middle and it isn't overcrowded as it is slightly out of the way for people to get to. Well worth it though! It's gorgeous!